155 mph: Wind speed — nearly the highest possible for a Category 4 hurricane — with which Michael made landfall near Mexico Beach and Panama City. A hurricane with 157 mph or higher is a Category 5, the strongest on the Saffir-Simpson hurricane wind scale. 6: Number of storm-related deaths attributed to Michael thus far, including an 11-year-old girl who local officials say was killed when part of a metal carport crashed into her family’s mobile home in Lake Seminole, Georgia, and a 38-year-old man who was killed when a tree fell onto his moving car in Statesville, North Carolina. Waves take over a house as Hurricane Michael comes ashore in Alligator Point, Fla., Oct. 10, 2018. 14 feet: Maximum height forecast for the storm surge when Michael’s strong winds pushed the ocean water onto land. 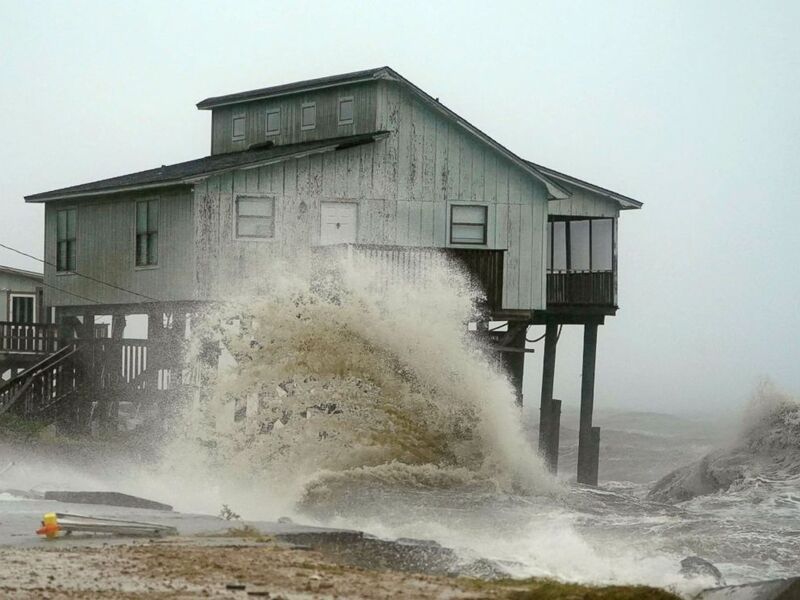 A storm surge just over 9 feet was reported Wednesday in Apalachicola, Florida. 12 inches: Isolated maximum amount of rain that Michael was expected to dump across the Florida Panhandle and the state’s Big Bend region, as well as in southeast Alabama and parts of southwest and central Georgia. 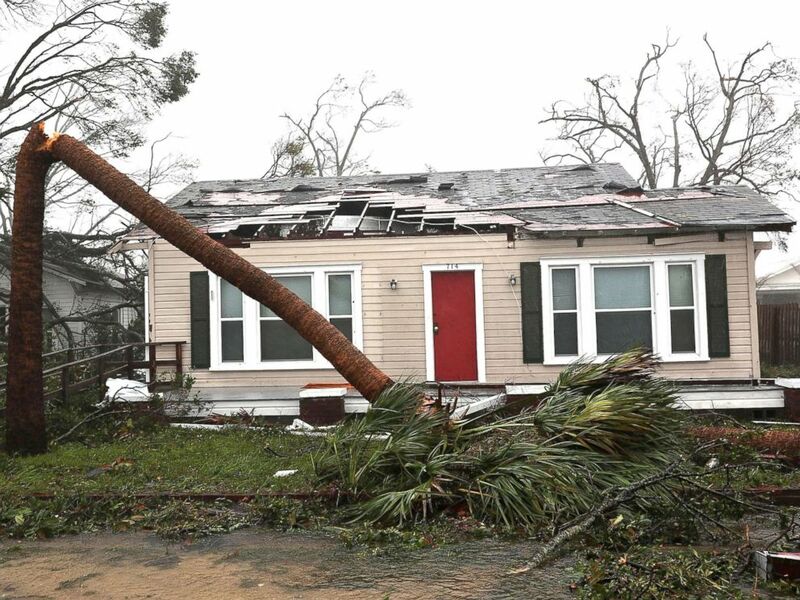 A damaged home is seen after hurricane Michael passed through the area on Oct. 10, 2018, in Panama City, Fla.
1.2 million: Number of homes and businesses without power in Florida, Alabama, Georgia, South Carolina, North Carolina and Virginia as of Thursday evening. The most power outages are in North Carolina, with 484,487 customers without power, officials said. 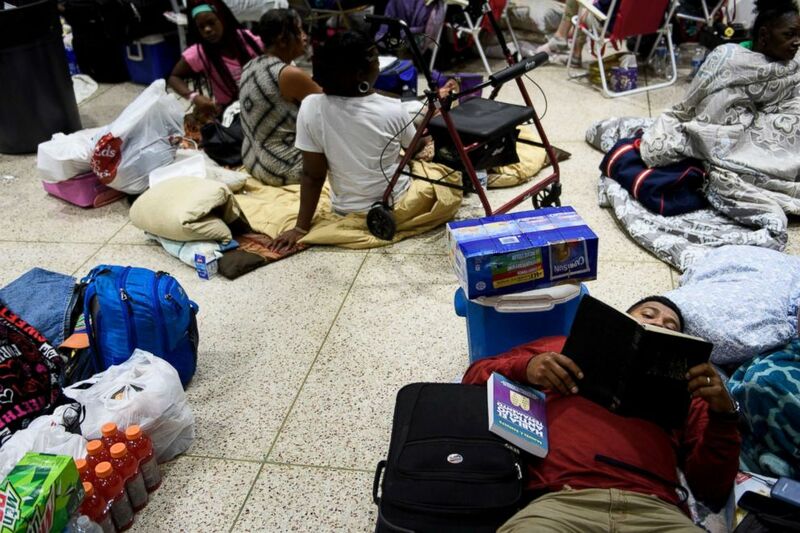 People seek safety in a shelter as Hurricane Michael approaches, Oct. 10, 2018, in Panama City, Fla.
325,000: Estimated number of people in the storm’s path who were told to evacuate by local authorities. 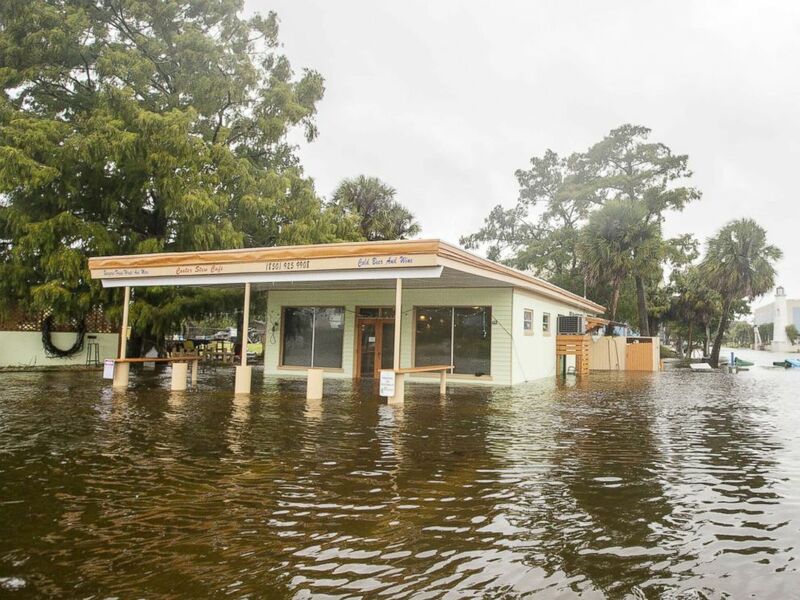 The Cooter Stew Cafe starts taking water in the town of Saint Marks as Hurricane Michael pushes the storm surge up the Wakulla and Saint Marks Rivers which come together here on Oct. 10, 2018, in Saint Marks, FLa.
35: Number of counties in Florida, of the state’s 67, where Gov. Rick Scott declared a state of emergency prior to landfall. 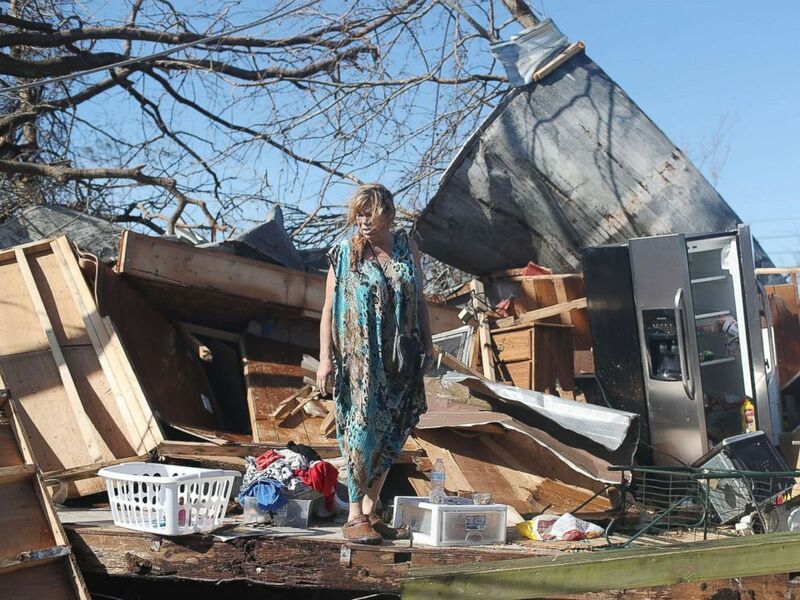 Kathy Coy stands among what is left of her home after Hurricane Michael destroyed it on Oct. 11, 2018 in Panama City, Florida. She said she was in the home when it was blown apart and is thankful to be alive.